To keep your Pools For Less pool looking as brilliant and beautiful as the day it was first installed, follow these easy steps in conjunction with the instructions given to you. Surface Cleaning: Never use abrasive materials to clean your pool, or ammonia or bleach. If tough stains persist, use a gentle pool cleaner and wipe it down with a soft rag to remove stains. Dirt and Debris: Unwanted materials that have sunk to the bottom of your pool should be brushed into the main drain. For larger amounts of dirt, one should use a pool vacuum to remove this material. Water Level: Never Drain Your Pool! Fiberglass pools are designed to remain filled with water at all times. Removing too much water from your Pools For Less pool could result in structural damages. 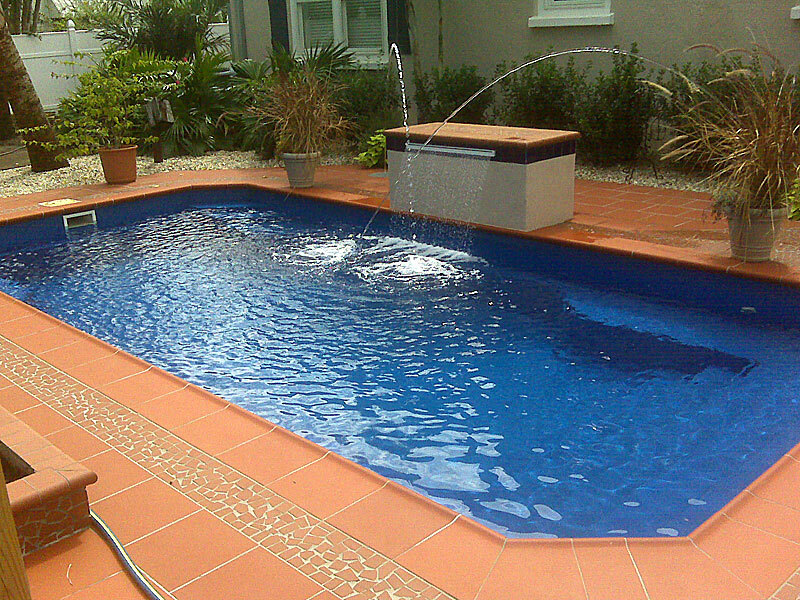 If for whatever reason you need to drain your pool, contact us at (386) 775-7914. Pool Chemicals: You should check your pools acidity weekly with a kit that is included with every Pools For Less pool. Follow the instructions that are also included with your pool, and add the chemicals as necessary. It is that easy.